T. Lang Dance creates poetic movement landscapes, illustrating deep and rousing investigations into interdisciplinary creative practices, historical narratives and identity. T. Lang is dedicated to exposing the arts and emerging communities to the creative impact and genius of dance. Lang earned her Bachelors and Masters of Fine Arts in performance and choreography from the University of Illinois (Urbana-Champaign) and New York University’s Tisch School of the Arts respectively. In the early days of her career, Lang danced with the Metropolitan Opera Ballet and Marlies Yearby’s Movin’ Spirits Dance Theater. 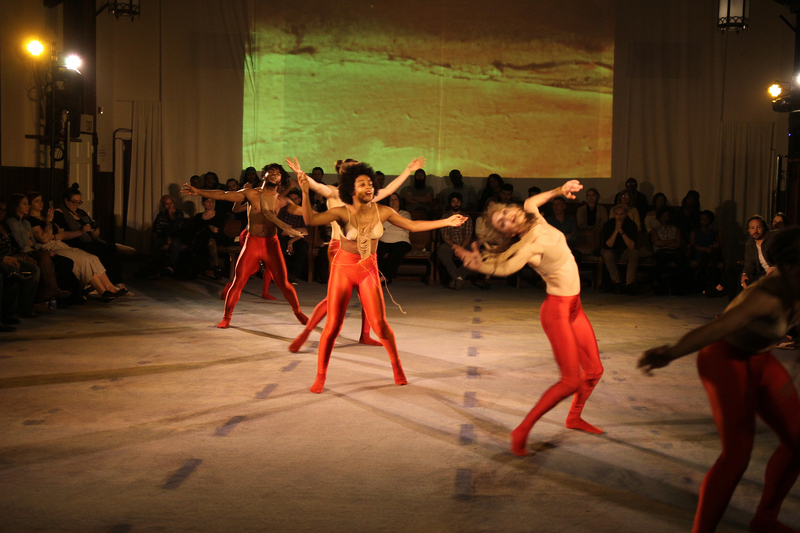 Lang relocated from New York City to Atlanta in 2008, continuing to develop, direct, and produce a high-impact blend of traditional and experimental contemporary movement. In 2011, T. Lang Dance was commissioned to create work in collaboration with Grammy award winning artists Sweet Honey in the Rock. This work, 4 Little Girls, was presented at the Gala Concert during the historic unveiling of the King Monument in Washington, DC. Lang’s production of MOTHER / MUTHA premiered in 2012, presented at the Goat Farm Arts Center. Creative Loafing and Arts America called the piece a “powerfully thought provoking… masterfully blended work” of “unsettling genius.” MOTHER/MUTHA delves deeply into the dark complexities of American history. It thoroughly examines the origin of objectifying African American women, a topic rarely examined so vividly and honestly through the lens of dance. In 2014, The High Museum of Art and the Goat Farm Arts Center both commissioned Lang to create original work. This ignited the vision for Post Up, the first installment of a four-part series. At the Goat Farm, Post Up pushed the boundaries of dance to create a multimodal experience of rich audio and visual adventure. The second installment, Post Up In The House was presented by the High Museum of Art and performed as a visual installation within the Mi Casa, Your Casa public art exhibition, created by contemporary designers Héctor Esrawe and Ignacio Cadena. Also in 2014, T. Lang Dance collaborated on Doxology Ring Shout, a project with American choreographer Dianne McIntyre for the 2014 National Black Arts Festival. Lang’s 2015 season began with a commission from Flux Projects for a collaboration with visual artist, Nick Cave. Nick Cave’s Up Right Atlanta was presented in collaboration with T. Lang Dance at Ponce City Market and was later awarded 2015’s Best Collaboration from Creative Loafing Atlanta. Later in 2015 the third installment of Post Up called LIT Variations #1-11 was performed in various locations throughout the city including the private studio of visual artist Radcliffe Bailey. Lang’s 2016 season included another commission from the High Museum of Art’s Jean-Michel Basquiat exhibit and another award from Creative Loafing Atlanta for Best Choreographer. In 2017, T. Lang expanded her vocabulary and delved into her first commission as a multimedia digital artist for Zuckerman Museum’s Medium Exhibition. The fourth installment of Post Up series called POST, premiered a three-week production run at an abandoned church on the decommissioned Atlanta military base, Fort McPherson. She continues her expansion in 2018 with creating new movement scores for independent film director Roni Nicole’s And the People Could Fly. Lang is an Associate Professor and founding Department Chair of Spelman Dance at Spelman College. Lang stays engaged with the next generation of movement artists through her summer dance intensive SWEATSHOP and as a faculty member at the American Dance Festival and the Staibdance Summer Intensive in Sorrento, Italy. You may make a tax-deductible contribution to T. Lang Dance using the button below.